We can offer 3 Peterbilt's for your wedding day, although we have recently completed our stunning, custom built, big, black Peterbilt 379 we named "Night Train Express" for this roll. It can carry up to 5 passengers (with seat belts), has seating for 4 in the rear and one up front, a large window at the rear to look out of and a chiller for the champagne. You maybe big into trucks, American iron or maybe it's that you require something very unusual indeed to make your grand entrance on your wedding day. So how about something big, loud and shiny, turning heads along the way, yet with style and luxury to go with it? We'll arrive at your desired locations within plenty of time for stress free wedding transport. We guarantee to bring a smile to your face and something unique to your special day. Your wedding chauffeur is an American truck enthusiast with plenty of miles under his belt. We are also covered by public liability insurance up to the value of £10 Million. If you require the American truck for more than our standard period of 3 hours, then we can work with you to accommodate your wedding transport requirements. We also can supply a traditional hog roast through one of our local catering contacts if so required, at an additional cost. 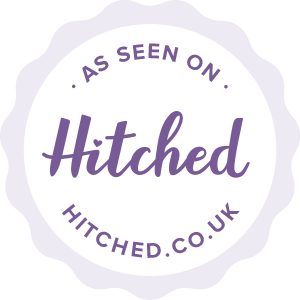 Generate a quote online for our American truck wedding transport hire in the UK.